Find examples of 5 creative organization charts in PowerPoint. Say good bye to the boring org charts with these interesting options. Who says Organization charts in PowerPoint should be boring? Are you tired of these boring organograms that are inbuilt in your presentation software? 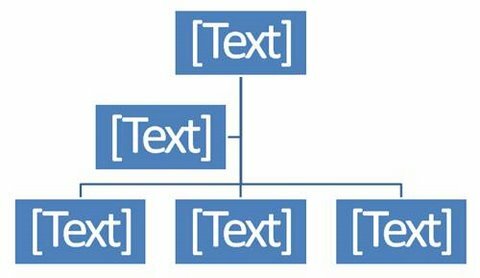 Your audience surely is bored of these hierarchy diagrams. 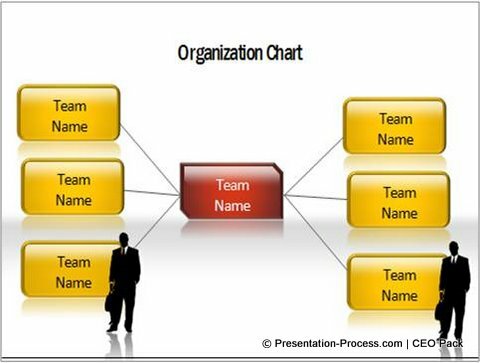 There are many options to represent organizational hierarchy in PowerPoint. But, the problem is – most of them are pretty dull and overused. 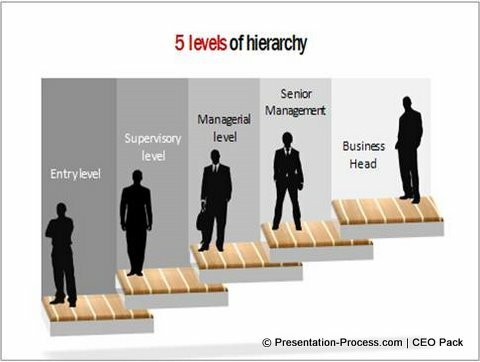 In this article, we will show you some interesting ways to represent organization hierarchy. You’ll see how it pays to go completely creative and fresh in representing these relationships. All the example templates you see in this article are part of our 750+ PowerPoint Charts & Diagram templates for CEOs. The pack contains everything required for a business prsentation from Arrows, Business Concepts, editable graphs and charts. All the templates are completely editable and comprehensive. Relationships in an organization are complex. For example, a product line may have reporting responsibilities to multiple functions or vice versa. The usual charts are inadequate to capture these complex relationships. That is why you need to go beyond the usual representations. 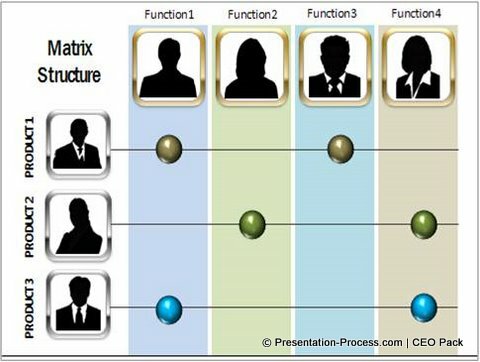 A matrix structure like the one you see above comes in handy to represent matrix relationship. Note: You can replace the silhouettes with photos of the staff. You can replace text with your own. You can copy paste elements to add or delete lanes. You can adjust the position of the markers. Sometimes you need an option to represent different levels in your organization. You may want to talk about access permissions for your database, approval authorities for different projects or time duration to move across levels. The template is professionally animated to allow you to explain each level at the click of a mouse. As with any other template in the pack, you have complete flexibility to add or remove levels by copying elements. This unique diagram shows staff positions at each level, when the organization is viewed as concentric circles of roles. The positions at the outer rim are entry level and those at the middle are senior roles. You would see that the options combine an understanding of business and cutting edge design principles. 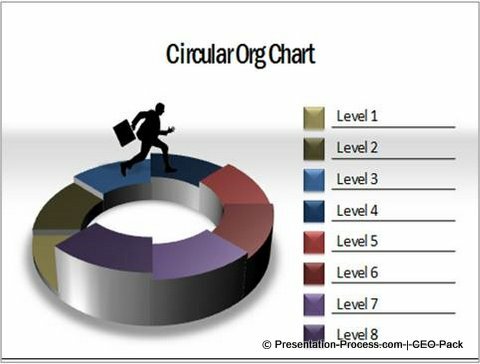 Source: Organization Hierarchy Charts from PowerPoint Charts CEO Pack. 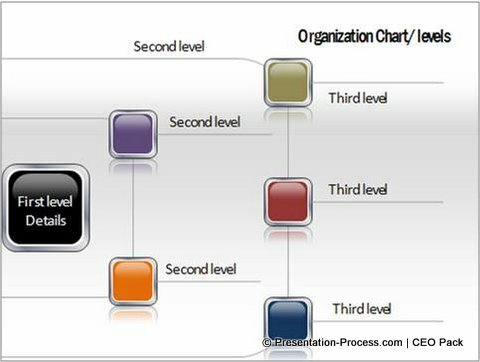 A slide representing Organizational chart is very common in HR presentations, Pitch books or Investor presentations. You need options that capture your specific situation clearly and elegantly. Don’t be constrained by the ‘usual’ representations. Break the mold and think afresh.